A while back I wrote about a synbiotic (prebiotic fiber + probiotic bacteria) fermented breakfast, and I’ve improved significantly on it since then so here is an update! 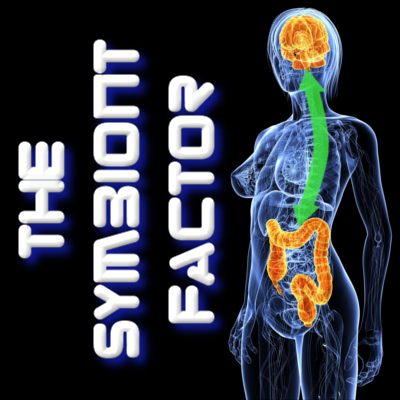 The concept of a synbiotic ferment is to give the beneficial bacteria a headstart before they get introduced into the body by eating them-and then include enough fuel for the journey and any upcoming microbial challenges. With this in mind, a new study was published that verified that prebiotic fibers can selectively benefit specific bacteria down to the species level. That is very useful to know! (Chung) As a note, the best way to read this blog post and many of my others is to right-click on each of the references below and open them in new tabs, take a look at each one, then read the rest of the blog post. Then, you can skip back to the research article when you see something connecting it. The research articles about these ingredients show benefits such as increased testosterone in men, reduced body fat, increased insulin sensitivity/reduced weight gain, prevention of cancer, reduced LDL cholesterol…in other words, fairly profound benefits of letting our microbial friends have their way with the breakfast food before we consume it! Mix all the ingredients in a glass bowl, and place on top of your fridge or other convenient place that isn’t too cold or too warm. Put a saucer under and over the bowl, as it can get frothy and try to escape! Now leave it alone for at least 24 hours, 36 or even 48 if you’re bold. When it’s a bit foamy feeling if stirred, and smells fermented, it’s ready to eat. I take 1/4 to 1/3 of the batch in another bowl, then add a handful of walnuts and some more coconut milk, and sometimes some maple syrup or molasses-just a spoonful-and even a sprinkle of cinnamon. If you heat it, you kill the bacteria so it’s probably much healthier cold. Enjoy! This entry was posted in Uncategorized and tagged bodybuilding, cancer, cholesterol, diabetes, disease, fermented, inflammation, insulin, Lyme, microbiome, paleo, prebiotic, probiotic, synbiotic, testosterone on January 26, 2016 by Dr. Richard Matthews.